Talk to your mechanic to make sure your engine(s) is ready. Check your lines, tarps and power cords. Power cords must be robust and rated for the marine environment. Remember that boats are very inefficient in holding in heat, so putting a high wattage heater on board will cost you big $. Your best defence against mold and mildew is moving dry air with fans. But don’t just trust those points; Google “how to prepare your boat for winter” – there are a million experts out there. Every year we get many complaints about these critters using your boat as a bathroom, kitchen or bedroom. It is extremely aggravating for anybody that has experienced their impact. What to do? The marina will not engage in a termination program of these animals (for many reasons), in part because they are very elusive. However, we do our best to discourage their presence. We strongly encourage marina patrons to button up their boats as best possible. Look for areas that the animals can gain access, remembering they can squeeze through very small openings. Many people play a radio to try and scare them away. Recently we have seen success with people using solar powered high frequency rodent or deer deterrents – again Google is your best friend to help with these circumstances. 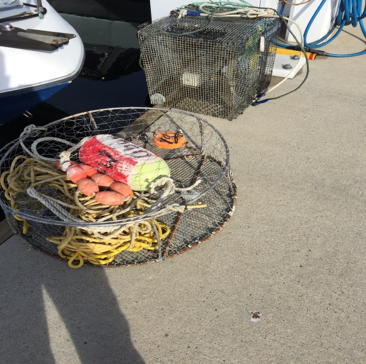 Again we ask that people remove the traps from the docks and fingers. We have been patient about this practice, and is manageable in small doses, but the proliferation of traps continues to grow. We are facing pressure from the Fire Dept. over potential safety hazards. Please help us manage this problem, before we have to take further measures to manage the issue. When Is The Water Turned Off?? Like we said, winter approaches. The Thunderbird staff watches the same weather as you do. If we see an Arctic front approaching, we will call for compressors to be delivered so that we can blow out the water system to prevent freezing. Some years we have made it through the winter without having to do this, but that is rare. When we do blow the lines down, the system will remain down until we are confident that another cold blast won’t return – usually mid to late February. If we see the cold front coming and know that we will be purging the system, we will send out an email as soon as possible. Like last year we will be closing the office on Sundays during the quiet season (date of first Sunday closing TBD). You may still book a lift/launch in the boatyard should you require one during that time. Our crew will continue to be on site and on duty to assist you. Also, should you wish to meet a yacht broker on Sundays during this period, please book an appointment with our broker(s) at 604-921-7457. 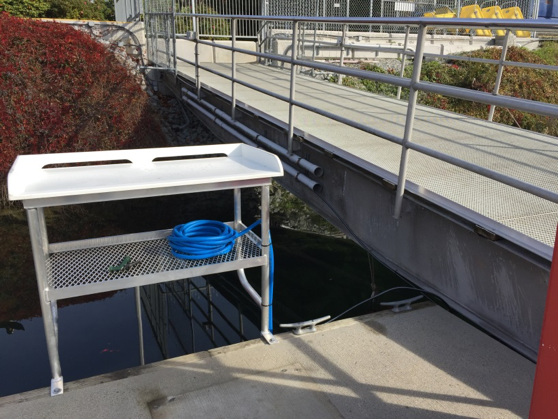 We recently installed a new fish cleaning station at the base of the south ramp. South Rampers are finally equal to North Rampers!!! hah!